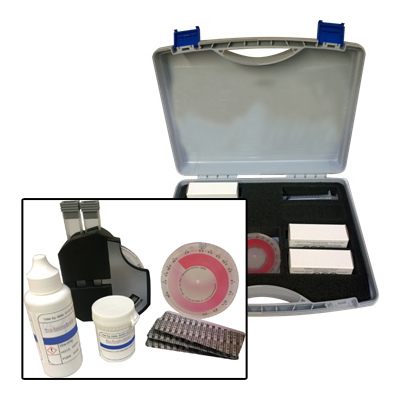 We offer a wide range of water test kits (also known as drop test kits) developed and produced by our in-house chemists. 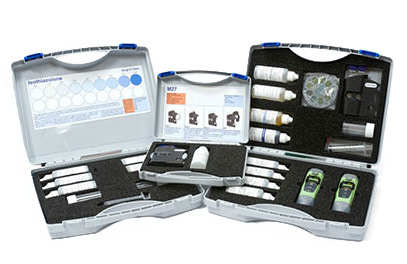 Our water testing kits are designed to be used in a variety of environments, from chemists in a laboratory to engineers in the field. Our lightweight, durable cases with waterproof labelling allow our kits to be used in all types of conditions. We offer custom made labels on all of our test kits, allowing you to put your own brand on every test kit you purchase from us. Our in-house label printers produce high quality, durable labels that can withstand all types of weather. 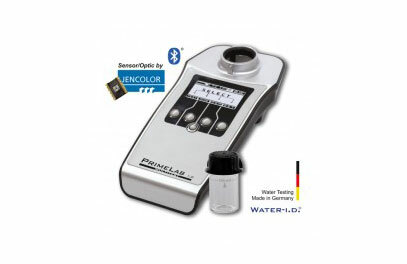 We are the only UK distributor of the PrimeLab Photometer hand-held Bluetooth device which is expandable and portable, developed for ultimate flexibility for use in a range of water systems. These dropper test kits are contained within a carry case and include weatherproof instructions, a sample pot, syringe and reagents for approximately 100-200 tests. We have a selection of meters that suit a variety of applications and budgets. From economical easy-to-use Eutech EcoTestr pH and TDS meters to the more comprehensive meters like the Eutech CyberScan PC 300.